Do Even Older Moms Have To Wait 18 Months Between Pregnancies? : Shots - Health News As a woman ages, choosing when to try for a second or third child means weighing fertility odds against the risks of getting pregnant again too soon. A new study provides more data to help decide. For older mothers, it can feel like there's little time to waste before trying for another child. But there are real risks linked to getting pregnant again too soon. Many older first-time moms face a dilemma when it comes to baby No. 2. The clock is ticking louder than ever. But doctors advise waiting at least a year and a half after giving birth before conceiving again. This is the standard advice, based on multiple studies and public health guidelines. But deciding when to try again can be a difficult decision — weighing medical risk against infertility risk. Now there are some new data points to factor in. A paper published Monday in the journal JAMA Internal Medicine analyzed medical records from nearly 150,000 Canadian pregnancies to tease out how a mother's age influences the effects of a shorter-than-recommended interval between pregnancies. "The optimal spacing window that we found was one to two years after the delivery of one child until the conception of the next pregnancy," she says. "That's when we found the lowest risk for both mothers and babies." And, she adds, that's short compared to some previous studies that had suggested the optimal wait was between 18 months and up to five years. 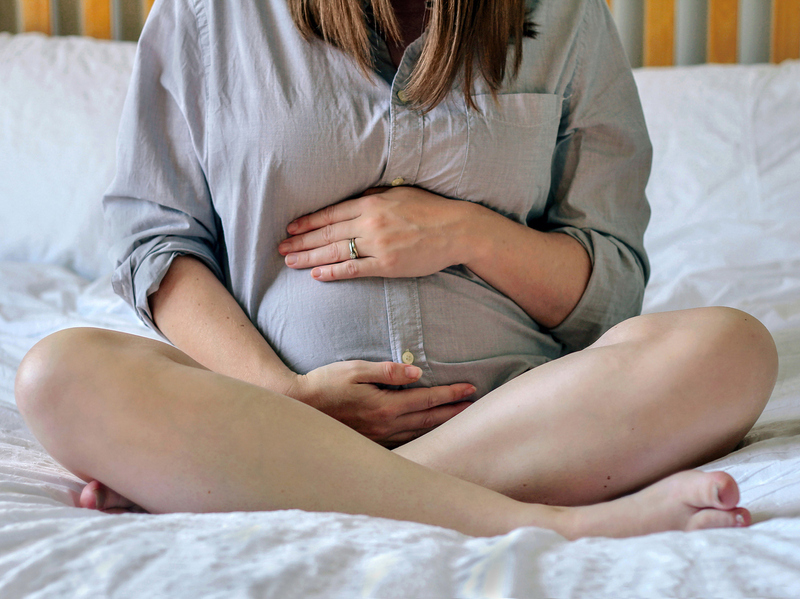 Past research has found a clear link between short "interpregnancy intervals" and increased risk of health problems for mother and baby, including premature birth. But why? The debate, Schummers says, revolves around whether the short interval is a direct biological cause of the risks, or whether it it is itself a result of other forces at work in the mother's life — for example, a lack of access to health care and unintended pregnancies. Because older women are likelier to plan their pregnancies and have better access to care, Schummers and colleagues hypothesized that those mothers would not incur as much risk as younger women do if they had babies close together. They found out they were wrong. "In fact," Schummers says, "we found that there were risks of adverse infant outcomes for women of all ages. "The risks to the babies were higher among younger women, which was consistent with the team's hypothesis. But risks to the mothers were higher among older women — indeed, only older mothers incurred higher risks to their own health by getting pregnant again so soon. • For women 35 years or older who conceived just six months after a birth, 6.2 per thousand experienced serious illness or injury, including death. Wait 18 months and that risk dropped to 2.6 per per thousand. So, small absolute numbers but a dramatic difference. • A "severe adverse infant outcome" includes stillbirth and being born very early or very small. Among women ages 20 to 34, those who conceived after just six months had 20 babies per thousand with those severe outcomes; the risk drops to 14 per thousand among those who waited 18 months. • Among women 35 years or older, there were 21 severe infant outcomes per thousand among those who waited just six months; the risk drops to 18 per thousand among those who waited 18 months. "This shows you both the relationship between pregnancy spacing and the increased risk," Schummers says, "but also that older women tend to have a higher baseline risk of many of these outcomes at all pregnancy spacing lengths." The research turned up a similar pattern for premature birth: A short pregnancy interval raises the risk for all women, but particularly for younger women. The risk for them dropped from 53 per thousand at a six-month interval to 32 per thousand at an 18-month interval. For women over 35, the risk dropped from 50 per thousand at six months to 36 per thousand after 18 months. It seems like common sense that a woman's body may need more than six months to fully recover from building a baby and giving birth, but the actual mechanism behind the risks of short pregnancy intervals is not fully clear. The leading theory, Schummers says, is that nutrients like iron or folate could be depleted in the mother's body. But more research is needed to see if that theory holds in developed countries like the United States and Canada, or if there are other mechanisms that have not yet been identified. For now, she says, her team hopes these new findings can help women make decisions within their own personal contexts, and in consultation with their medical teams. The data may be particularly helpful for older women, she says, because they more often decide to have short pregnancy intervals on purpose. "And so if you're making that kind of decision on purpose," she says, "it's easier to say, 'You know, let's wait another three months.' "